First cut a 6" x 9 1/2" piece of Stampin' Up! 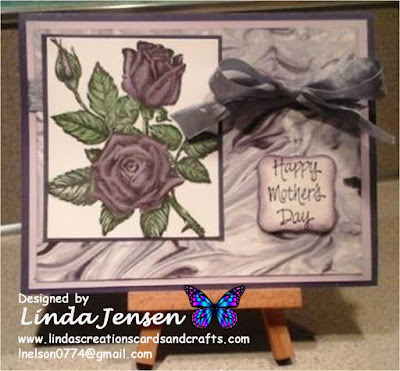 Smoky Slate card stock and fold it in half for the base, a 4 1/2" x 5 3/4" piece of Stampin' Up! Elegant Eggplant for the middle layer, and a 4 1/4" x 5 1/2" piece of white for the front layer. Then sponge the edges of the white card stock with Stampin' Up! Elegant Eggplant ink. Next using a Stamp a ma jig stamp the vines in Stampin' Up! Pear Pizzazz ink then the flowers in Elegant Eggplant ink. Next on a separate piece of white card stock stamp the butterfly in Smoky Slate ink, the flowers in Elegant Eggplant, and the leaves in Pear Pizzazz. Then cut it out with a Stampin' Up! 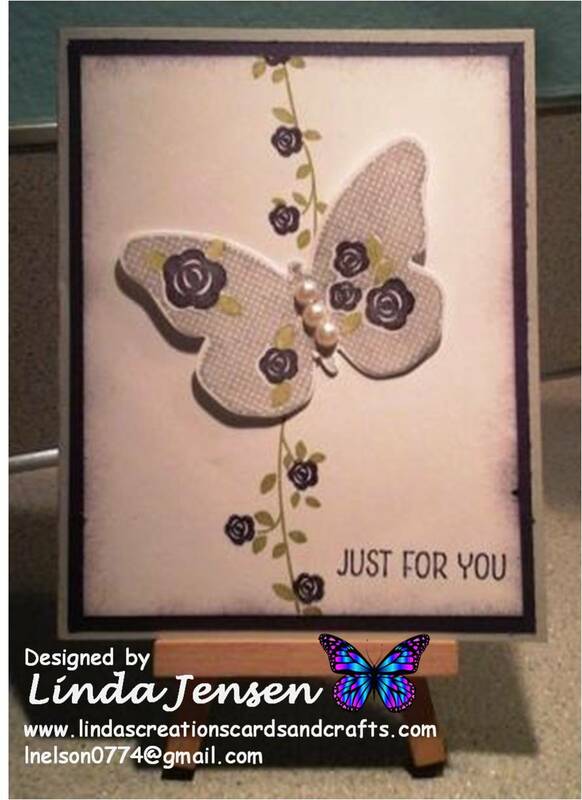 Butterfly Framelits Die, attach the self-adhesive pearls, then attach it to the card front with a mini pop dot. Next stamp the sentiment in Elegant Eggplant ink and enjoy!